Is Steve Jobs driving the new car market from beyond the grave? In the wake of Steve Jobs death in 2011, one interesting little fact emerged. The Mercedes-Benz SL 55 AMG he drove didn’t have a license plate. Not only did it not have a license plate, but he had an arrangement with the company he leased the SL 55 AMG through to replace it with a new version of the exact same silver model every six months. Back then changing your car every six months seemed a bit excessive, but fast forward seven years, and now some of the biggest car manufacturers want you to get on board with something similar. Soon you might even be able to change your car every month, or whenever you feel like it. Now the real reason Jobs changed his car so regularly was because of a little legal loophole. In California, there was no legal requirement to have a license plate fitted as, according to the state law “anyone with a brand-new car has a maximum of six months to affix a license plate to their vehicle”. Ergo, one way around that is to change cars every six months. This loophole will be closed in California next year, but if Mr Jobs was still with us he’d no doubt be a fan of packages that allow you to regularly change your car to keep up-to-date with the latest must-have technology. After all, Apple even has its own Upgrade Programme that allows you to get a new iPhone every year for just £37.95 a month. Jaguar’s Carpe subscription service is specifically aimed at busy, high-mileage UK residents who spend many hours on the road and allows all-inclusive and hassle-free access to brand new Jaguar and Land Rover vehicles for 12 months and with no deposit. At the launch of Carpe, Sebastian Peck, managing director, InMotion Ventures, said: “For people who love driving premium vehicles but are tired of inflexible contracts, a subscription to Carpe is the solution. Mercedes-Benz piloted its car-as-service subscription model, Flexperience, earlier this year, differentiating the offering by allowing customers to swap between up to 12 vehicles a year with subscribers having the flexibility to swap to a newer car sooner than a traditional PCP contract would allow, or to a higher-quality vehicle than would be available from a rental service. Similarly covering all costs from insurance to servicing and tyre repairs, inclusive of up to 22k miles per year, for a single monthly lease payment this app-based service stands in contrast to traditional vehicle rental with the customer able to select the engine line-up, colour and interior. "Our customers can flexibly use up to 12 vehicles per year according to their requirements – a 'car on demand' offer, so to speak. 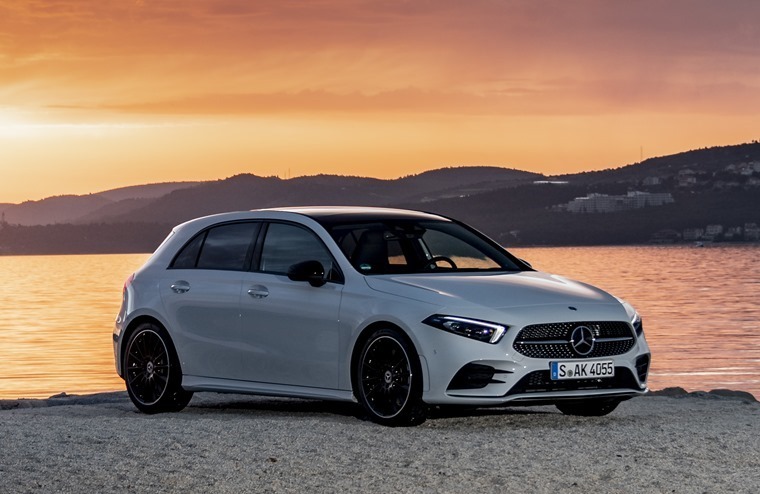 A cabriolet on the weekend, an SUV for family holidays and a saloon for business trips," says Britta Seeger, member of the board of management of Daimler AG, Mercedes-Benz Cars Sales. Like so many things recently, Volvo can claim to be the first, with Care by Volvo launched last year. 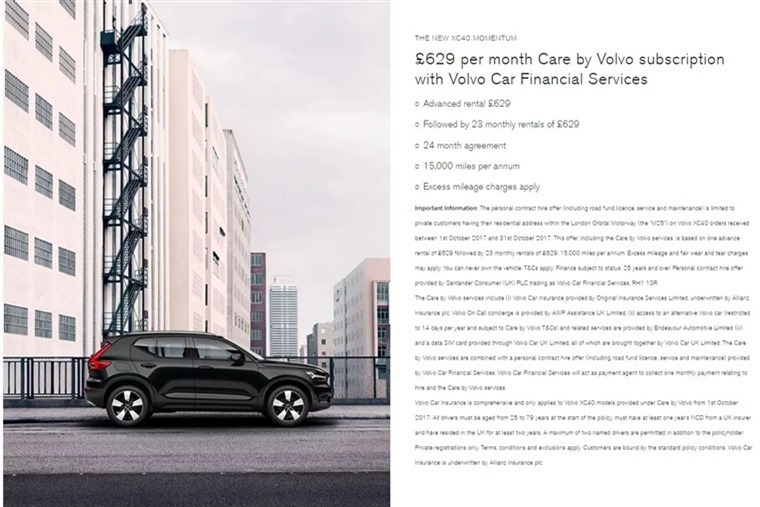 The multi-award winning XC40 was used to launch Volvo’s new subscription service, offering car access via a monthly flat-fee subscription rather than ownership aiming to make having a car as transparent, easy and hassle free as having a phone. Care by Volvo is based on one advance rental of £629 followed by 23 monthly rentals of £629. That might seem a little steep, but considering it includes insurance for two drivers you can see the appeal. 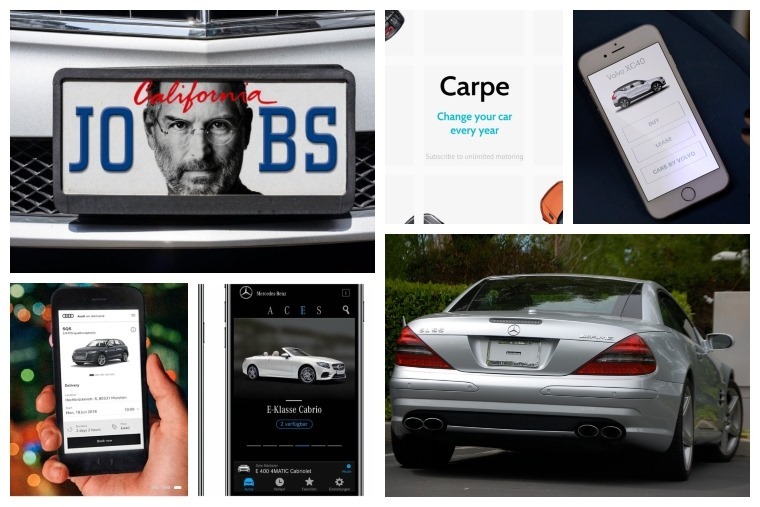 Would Steve Jobs have been tempted away from his license plate ruse and beloved silver Mercedes-Benz SL 55 AMG to try out one of these subscription services? It’s hard to say, he could certainly afford them and would admire the potential for disruption they bring to the car market. I’m sure he’d definitely have a vehicle with Apple CarPlay too.